The African Union seems to be taking its theme this year of fighting corruption seriously when it comes to the business of some continental bodies. It’s put Pan-African Parliament president Roger Nkodo Dang on ice pending a graft investigation, and there’s also some action against irregularities, ironically, within the AU Advisory Board on Corruption. It seemed an almost empty exercise, watching heads of some fabulously corrupt countries renounce graft during a debate on the matter at the 31st AU summit in Nouakchott, Mauritania on Sunday night. Some, like Ghanaian president Nana Akufo-Addo, told of how allegations of witch-hunting are flung at those who charge high-ranking officials, while others, like Nigerian president Muhammadu Buhari, champion of the fighting corruption theme, said graft often “fought back”. Still, the AU’s 2018 theme “fighting corruption”, perhaps in conjunction with the no-nonsense spirit in which reforms to the continental body are being done, seems to have inspired some harsher than usual words by the continental body for the Pan-African Parliament (PAP) President Roger Nkodo Dang of Cameroon. The committee of 15 finance ministers from member states in its report asked the AU Commission “to initiate an urgent audit of PAP and put on hold release of the 2019 budget of PAP until completion of the audit exercise”, according to documents submitted during the AU summit. It also requested that Dang halted staff dismissals until the audit was concluded. Dang, who was re-elected to the position in May, was reported by the Sunday Times to have been involved in some irregularities. He rejected a ministerial home under renovation offered to him by the South African government, which is hosting PAP in Midrand from its budgets, staying at the upmarket Michelangelo Hotel in Sandton instead for much of 2015 and 2016, and preferred an official Mercedes Benz ML sport utility vehicle rather than a lowly E-Class from the Department of International Relations and Co-operation. Dang later also stayed at an exclusive Pretoria estate at a cost of R80,000 a month after turning down government housing, with two chefs and two cleaners, paid for by the AU. To top it all, Dang hasn’t been doing his work properly. There’s been criticism that PAP wasn’t fulfilling its role properly. Dang was angry about the media reports and accused the South African media of being “terrorists”. He also wanted to ask the government to protect him against the hack pack’s harassment when he is in South Africa on PAP business, a South African government official said. The AU at its recent summit, however, seemed to agree with the media more than with Dang, saying he should be suspended while the apparent mismanagement in PAP was investigated. According to a report tabled at the recent AU summit by the Permanent Representatives Council, consisting of member states ambassadors to the AU, PAP should “refocus on its mandate in order to achieve the objective for which it was established and align its work with that of other AU organs”. The report said the election of PAP bureau members “generated a lot of dissent and division within the PAP”, but Dang denied this, citing that he was elected by a majority, consisting of 133 votes (it’s not clear what the total number of votes were). The report went further, saying if allegations in the media of bad management of staff and funds were true, “they will raise doubts in the minds of African citizens on the credibility of the AU, which moreover is financed through the taxes paid by the latter”. Africans already have questions over PAP’s purpose, since it has no real teeth to do oversight or enforce legislation. The AU Commission, the report said, should conduct an enquiry to clarify the situation in PAP’s management and establish where the responsibilities lay. “In proven cases of fraud, strong measures should be taken in line with the theme of the year dedicated to the fight against corruption,” it said. It added that PAP hasn’t undertaken any activities on the fighting corruption theme of the year or any campaigns advocating against the scourge. Dang justified his travel expenses by saying PAP members needed it because they “are made up of mostly former high-ranking personalities. They do not accept to travel in economy class; the class of travel corresponding to their rank in terms of protocol is therefore business class”. Besides, Dang said the travel of the officials was paid for by partners and not member states or the AU as a whole. The report also accused Dang of having unduly suspended the PAP secretary-general, but Dang said he did so because the secretary-general “failed in his duty to prepare the activity report of the PAP”. Dang also defended himself against media reports. “The allegations of financial impropriety against the President was untenable since he was neither the authorising officer nor the accounting officer, however, the president has been subjected to an unprecedented media lynching with the various media houses in South Africa and elsewhere heaping unsubstantiated allegations against him,” Dang said in his written reply. He said the working environment of PAP had been calm “until the avalanche of unsubstantiated accusations which were meant to seriously undermine the moral integrity of the President and cause widespread disaffection against him”. International Relations Minister Lindiwe Sisulu said the audit into PAP should be finished later in 2018. She said if there were problems with the budget, “we will sit down there and make sure the problems are sorted out”. In its own ranks, the AU has also been rocked by allegations of corruption, with Daniel Batidam resigning in June from the position of chair of the AU’s Advisory Board on Corruption, claiming corruption. However, another official said Batidam himself was mismanaging the AU. Batidam was accused of awarding a $47,000 Master’s Degree bursary to another staff member while the rules do not allow the board to award scholarships. The AU’s Executive Council (mostly consisting of ministers of foreign affairs) decided that the board’s controlling officer and the bursary recipient should be held accountable for this breach. 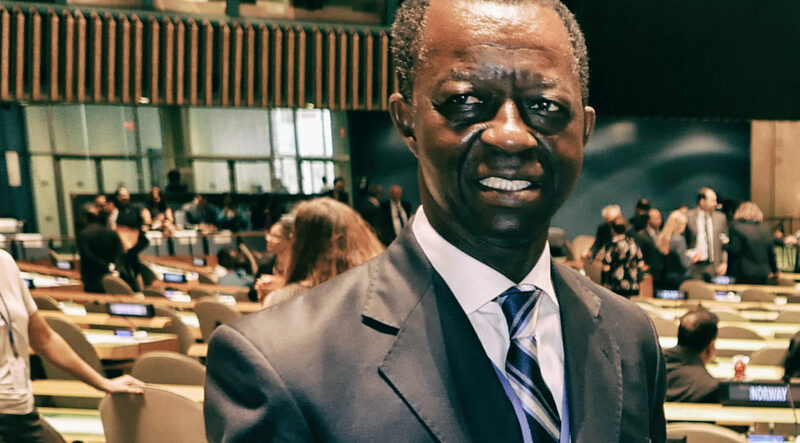 An AU official said Batidam lied when he alleged that corruption was rife in the AU because, the official claimed, Batidam himself was corrupt. This would, however, ironically point to the very corruption the official was denying, right there in the heart of the anti-corruption board.